Enjoy powerful performance and a comfortable ride in the 2019 Porsche Cayenne. The Cayenne is built with a 335-hp 3.0L turbocharged V6 engine that delivers 332 lb.-ft. of torque, or you can opt for the fuel-efficient Cayenne E-Hybrid which features a 3.0L turbocharged V6 engine and an electric motor that combine to deliver a total of 455 hp. Choose the Twin-turbocharged V6 engines of the Cayenne S and Cayenne Turbo for even more acceleration, which feature 434 hp and 541 hp, respectively. 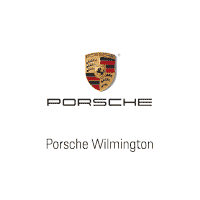 Find a new Porsche Cayenne at Porsche of Wilmington in Wilmington, North Carolina.